This is a fascinating vintage styled table made of wood. The quality of the materials used is great and will last for years to come. It has three drawers where in you can store and manage your things. The bottom shelf can be used to keep basket box that includes daily-required things. 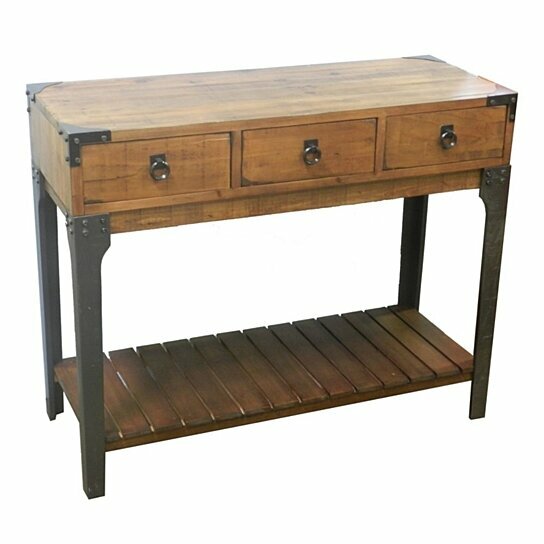 This striking table is sure to make a unique addition your living room, entryway or bedroom.